Figure Skating training and development at the facility is brought to you the Eugene Figure Skating Club, an independently run nonprofit organization. in Lane County, Oregon. 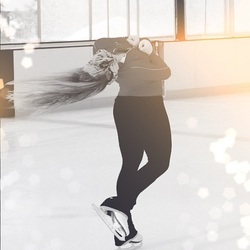 The EFSC supports skaters of all levels and abilities and provides an opportunity to connect with other figure skaters and figure skating enthusiasts. All ages and levels are welcome. You do not have to be a competitive skater to join. For those who are new to the sport this is a great way to connect to your new community, get informed and involved.